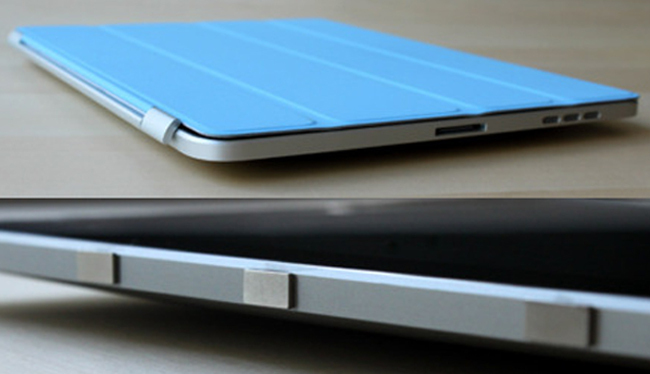 When Apple announced the iPad 2, they also announced the new Smart Cover, which connects to the iPad 2 with magnets, and uses magnets inside the iPad 2 to keep the case on. One clever iPad fan has decided that they wanted to use the Smart Cover with their original iPad, and they have put together a video showing how this was done, although it will include attaching some magnets to the outside of your iPad. Before ever seeing a Smart Cover in person, I figured this hack might need to be much more involved, perhaps even needing a 3D printed part that would interact with the hinge in some way. You can find out full details of how the new iPad 2 Smart Cover was fitted to an original iPad over at The Russians Used A Pencil.